Umbra brings affordable design to an everyday item with the Splat Sink Strainer. 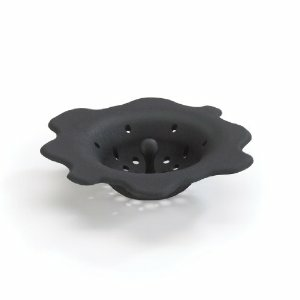 This black molded-rubber device cleverly prevents debris from clogging the kitchen sink drain. Features a whimsical curvy edge and removal knob. Also available red. Design: Alan Wisniewski exclusively for Umbra - a worldwide leader in casual, contemporary and affordable design for the home.